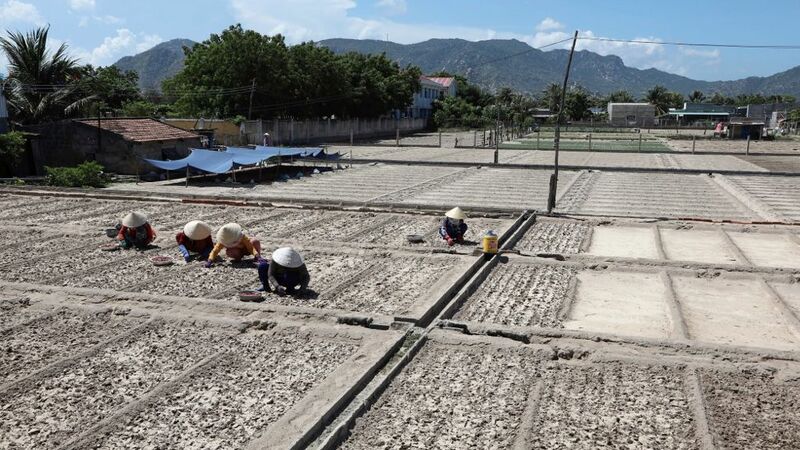 The project will help install eight modernized irrigation systems in five drought-affected provinces, which will improve agricultural productivity in Viet Nam. Photo: ADB. 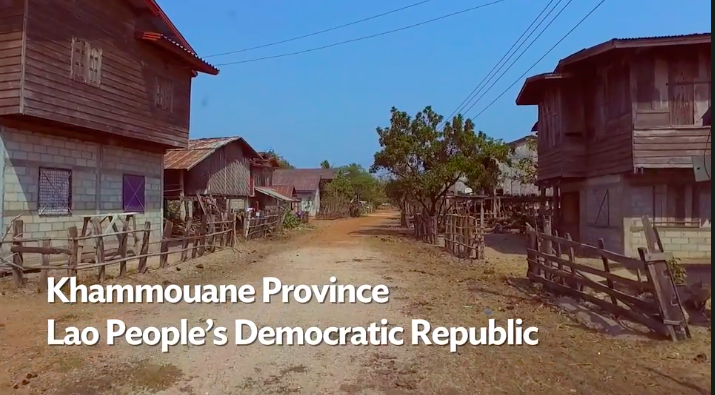 HA NOI, VIET NAM (27 November 2018) — The Asian Development Bank has approved over $100 million in financing to help the Government of Viet Nam install eight modernized irrigation systems in five drought-affected provinces, which will improve agricultural productivity, especially among farmers growing high-value crops such as coffee, peppers, grapes, dragon fruits, and mangoes. 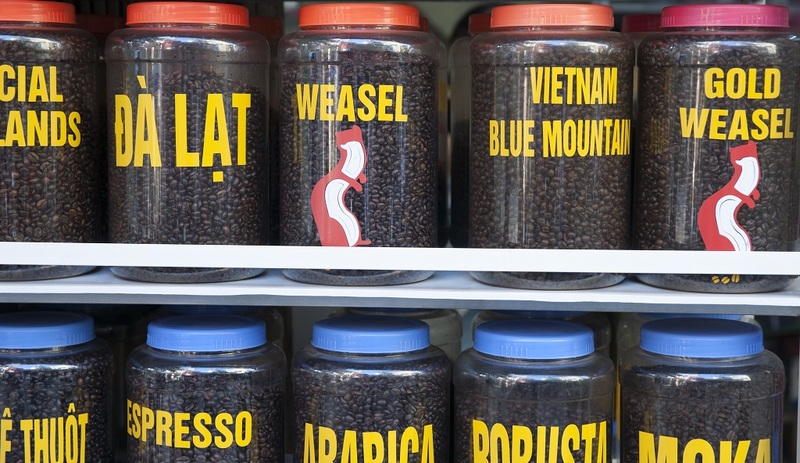 Jars of coffee for sale in Ha Noi. 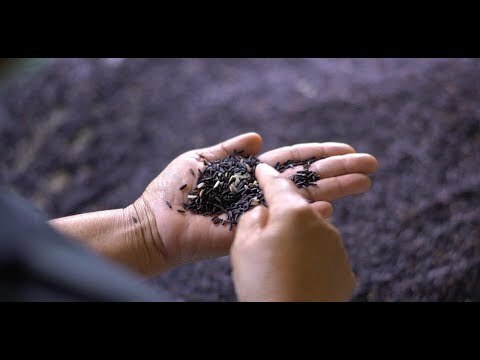 Viet Nam has registered geographical indications for coffee and tea products, such as Buon Ma Thuot coffee, which is produced in the Central Highlands. Photo: brians101/iStock.com. In the Greater Mekong Subregion, countries have started to adopt laws and policies on geographical indications to protect locally sourced products that are made using traditional methods in their region of origin. 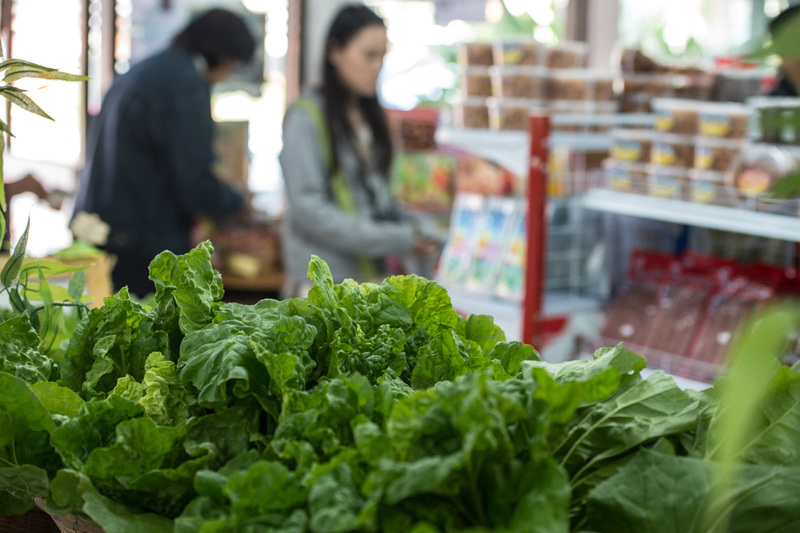 Countries in the Greater Mekong Subregion are taking a regional approach to food policy to protect the interests of consumers and suppliers in both domestic and export markets. Photo: ADB. Lao PDR Deputy Minister of Finance Ms. Thipphakone Chanthavongsa (right) and ADB Country Director for Lao PDR Mr. Yasushi Negishi (left) after signing the grant agreement on 6 September 2018 in Vientiane. Senior officials from line ministries witnessed the signing. 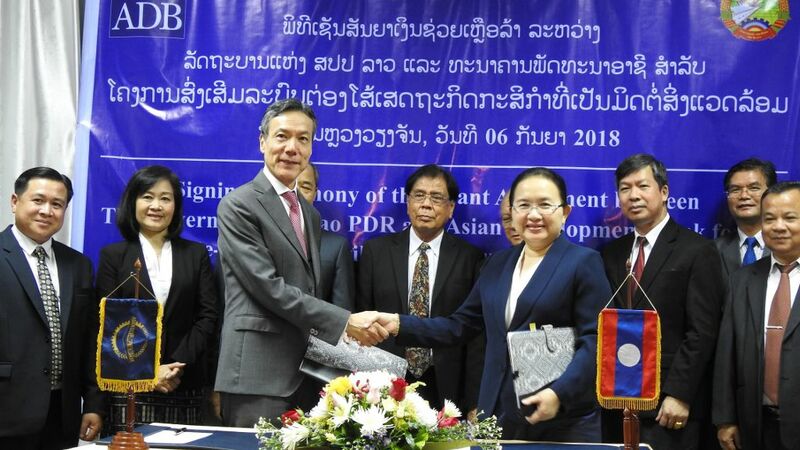 VIENTIANE, LAO PEOPLE’S DEMOCRATIC REPUBLIC (7 September 2018) — The Asian Development Bank and the Government of the Lao People’s Democratic Republic signed an agreement for a $40.5 million grant for the Climate-Friendly Agribusiness Value Chains Sector Project that will help farmers and agribusinesses develop sustainable and climate-smart agriculture value chains in the country. Farmers dry cassava on an open field. 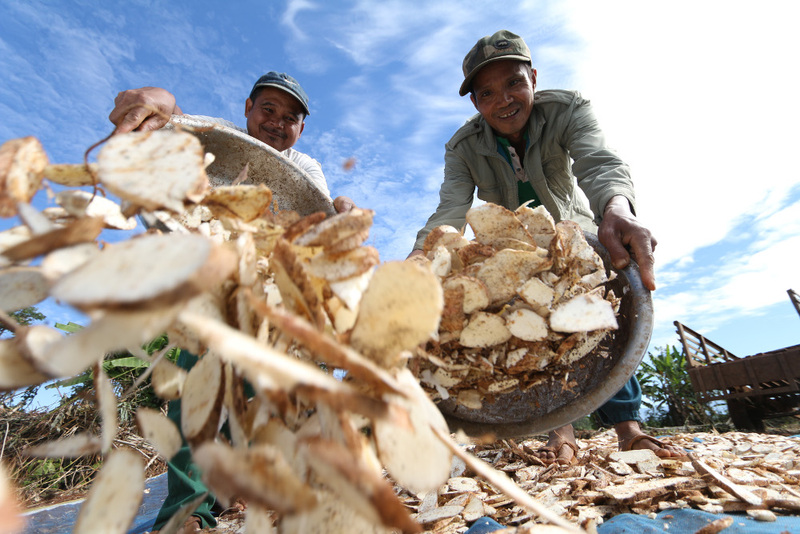 The Climate-Friendly Agribusiness Value Chains Sector Project will improve the productivity, efficiency, and climate-resilience of agriculture value chains of farmers along the Greater Mekong Subregion economic corridors. Photo: ADB. The Climate-Friendly Agribusiness Value Chains Sector Project is helping transform transport corridors in the Greater Mekong Subregion into economic corridors by developing upstream and downstream linkages in agribusiness supply chains in a climate-friendly manner. New value crops like Japanese cucumbers are helping farmers in the Lao People's Democratic Republic maximize their land and generate additional income. 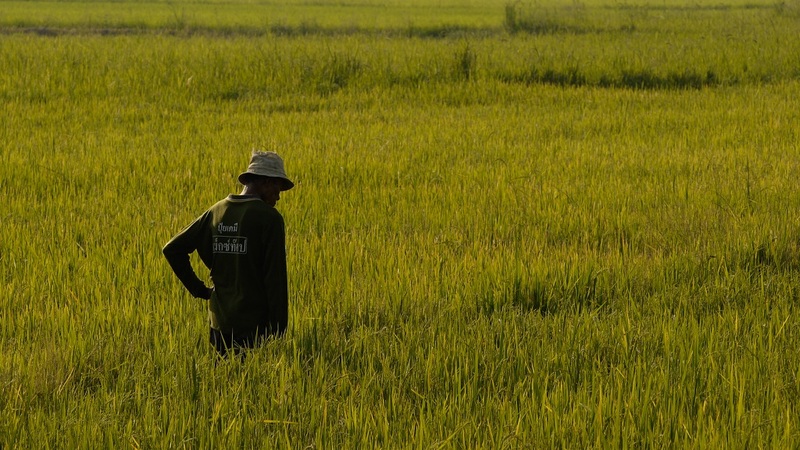 A new variety of rice is now helping smallholder farmers in North Thailand out of poverty, while also improving their diet. 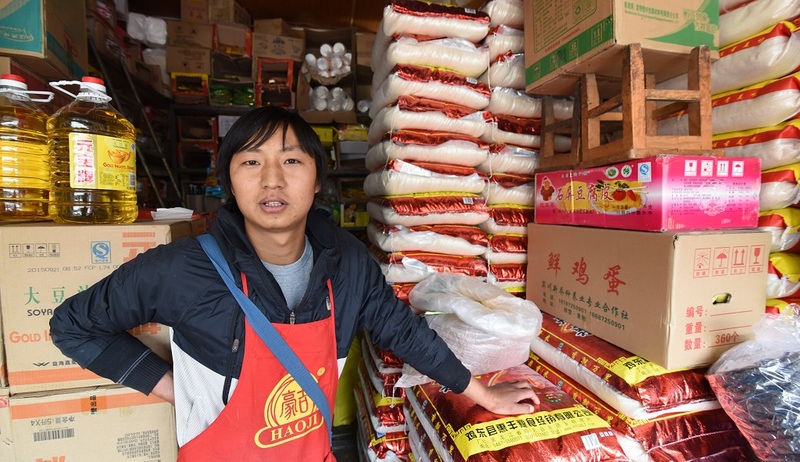 Siam Organic Co., Ltd., which introduced Jasberry rice, a non-GMO, organic rice variety in the region, adopted an inclusive business model to help farmers increase harvest yields and earn more. The food traceability systems in the pilot project use barcodes to track information at the source (e.g., date of harvest/production) and until point of sale. Photo: ADB.